Have you hiked up your skirt and jumped up on the BB cream bandwagon yet? You know, those supposed all-in-one miracle face creams that got their start in Asia. BB used to stand for blemish balm, but that’s already old school because who wants their skin cream to be associated with blemishes? That pretty much knocks out whole segments of the buying population. Today, the new thought is beauty balm. Yes, that’s so much better. Thank you, marketing folks. Personally, I don’t care what you call them, just make sure I have one in my makeup bag at all times. I love this concept. First, I’m not a roll-out-of-bed-brush-my-teeth-and-I’m-ready-to-meet-the-world kind of girl. Well, truth be told, I haven’t been a girl in decades. The age issue aside, I need time to gather my lotions and potions and slather them on my face and get the magic combo to merge just right. But by the time I have my many layers piled on — moisturizer, sunscreen, foundation — I feel as if I look like one of Madame Tussaud’s wax dummies. For me, when it comes to makeup, foundation in particular, less is truly more. Especially the older I get. Liquid makeup isn’t that forgiving when you no longer have baby smooth skin. It tends to find even tiny lines and burrow in, making you look less like Christy Brinkley and a bit more like Bette Davis in Whatever Happened to Baby Jane. The problem is that I want some coverage, just not total camouflage. I want my skin to be protected from the big bad sun, I want it moisturized and I want it to breathe and to look smooth, without noticeable pores. Is that asking too much? Well, no, it isn’t with L’Oreal’s new Youth Code BB cream illuminator. This tinted BB cream moisturizes, offers broad spectrum SPF 15 and is formulated with a bit of color. That means that I can smooth the BB cream illuminator on after washing my face, and it allows me to skip a couple of steps. But, best of all, it goes on smoothly, blending perfectly with my skin, and it doesn’t sink into my pores, which is a problem with a lot of foundations. And because it serves several purposes, Youth Code BB Cream Illuminator makes a perfect travel companion when you can’t stash all of your favorite creams in those blasted plastic zippered airline baggies. Available in light and medium, and priced at $16.99 for a 2.5-ounce tube. By the way, that’s much less than a lot of other big brand name BB creams. 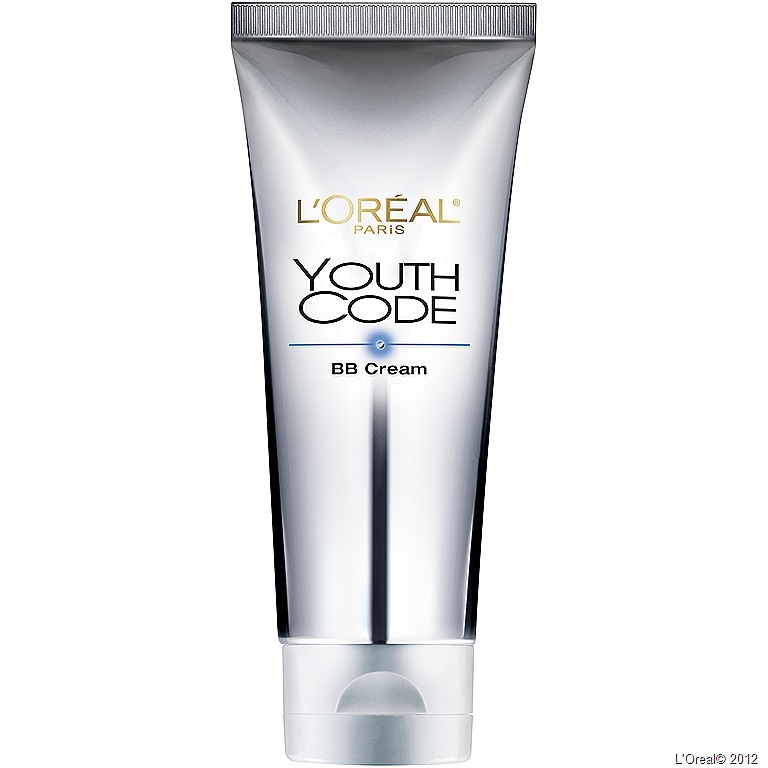 L’Oreal Youth Code BB Cream Illuminator should hit most stores by July. This sounds great and it is on my next shopping list at Ulta! I think you’ll be happy with it, Laura. I am such a BB cream fangirl. I have terribly dry, senstive skin and foundation and I have never been friends, but oh, BB cream! Goes on, stays on, looks natural and covers a multitude of sins. I would be lost (and extremely pale) without it. I’m totally with you on that. Dry skin here, too, and that’s why BB is my new BFF. Sabine. I took your advice and purchased BB Cream last week. I love it. It feels so good on; not heavy or oily. I’m a fan. Thank you. Kim, I’m thrilled you like it. And so happy you’re reading my blog. Thank you. The more I use L’Oreal BB cream, the more I like it, but because I have dry skin, and the weather’s warm, I find that I need to use a light moisturizer first, right after washing my face. Then it’s perfect. Thanks again.